Clinique Airbrush Concealer can be a bit confusing. According to Clinique it's a light diffusing formula that's supposed to brighten shadows around the eyes and soften the look of fine lines and wrinkles. However, if you've ever used a real under-eye illuminator (YSL Touche Eclat, Chanel Eclat Lumiere, Guerlain Precious Light) you'll notice right away that Clinique Airbrush Concealer ain't it. It doesn't reflect much (any?) light and it's quite opaque. 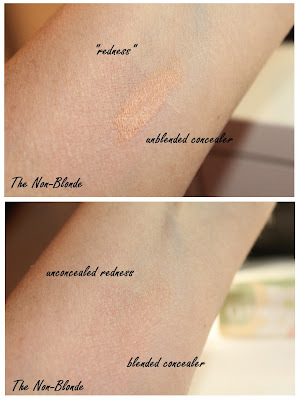 Thus, it's far more a concealer-corrector than an illuminator. 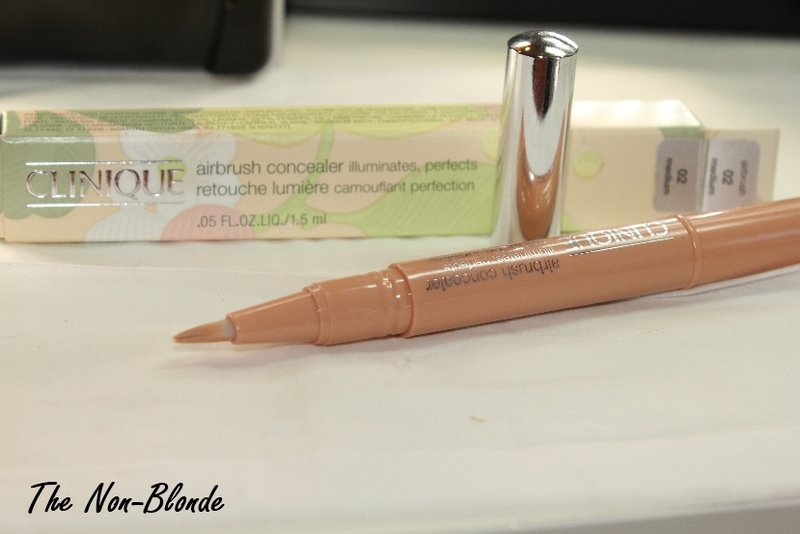 Clinique Airbrush Concealer comes in three shades: Fair, Medium, and Neutral-Fair. I deliberated at the counter and ended up picking Medium 02, though I could probably also find a good use for Neutral-Fair, especially under my eyes. Medium 02 is actually the darkest option in the range and looks a bit peachy (hence its efficiency in correcting blue/purple shadows). The light liquid texture is great for blending into the skin; it's as thin and airy as anyone could ask for and never cakes. 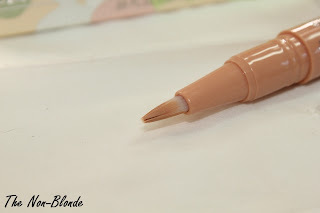 Since it doesn't actually illuminate the skin, Clinique Airbrush Concealer can be used in other areas of the face; I like it especially for concealing he redness around my nose. To try and demonstrate this use I created some "redness" on my arm for the swatches. You can see that the blended concealer covers the red stain where I applied it. I'd say that Clinique Airbrush Concealer is pretty similar to Smashbox High Definition Concealer and can be used in a similar way. Bottom Line: decent for the price but somewhat overhyped. Clinique Airbrush Concealer ($19.50) is available from most department stores, Sephora, and Clinique.com. How about the staying power? Does it disappear by midday? No, not on me, but my skin is dry and prep and set everything so I rarely have issues with base products.